I know that this is harsh. But I use the word pusillanimous in its ugliest meaning—which is the “unmanly” meaning—especially in relation to Saudi Arabia, having stockpiled weapons and trained soldiers for decades so that by now it is the only Arab country capable of taking on the monstrous regime in Damascus … and winning. I say “unmanly” because the kingdom has done nothing of the sort. “For sure,” as the Arabs say in their English, it is wholly a man’s country, ugly and unnatural in any depiction of a crowd, actually camouflaged, and thus preposterous in its laws, mores, culture, and presentation of self. Of course, there are women in the country and they can do nothing for or by themselves, save if they are foreigners when servitude is their lot, like foreigners who are men. In fact, servitude is the only guarantor of gender equality in the kingdom. Now, the military is a proud lot, mostly deriving from the fact that a Saudi royal (graduate of Sandhurst, Prince Khaled bin Sultan bin Abd Al Aziz, the nomenclature denoting him as a grandson of the founder of the kingdom, son of the late defense minister and one of thousands of princelings) was commander of the coalition of the so-so allies, including Syria (! ), which freed Kuwait from Saddam Hussein’s Iraq in 1991. OK, maybe Norman Schwarzkopf was really commander of Desert Storm. But let’s not quibble. The monarchy also scurried to arms when, during the last year, no Arab force was completely excused from warfare, and the Saudis eagerly took up the cause of the minority Sunni rulers of Bahrain, one sheikh to another, against the vast majority of Shia who are their subjects. And, to be sure, our country patrols the Persian Gulf against what soon may be a very mischievous flotilla of Iranian soldiers and sailors, to say nothing of terrorists who roam the seas already. Saudi Arabia took the initiative in the Arab League to demand and command that Bashar Al Assad cease the brutalization of the Sunni majority dispersed among the country’s pastiche of minorities. The League designated a certified brutalizer himself—the Sudanese architect of the Sudanese genocide—to bring calm, or such calm as one can imagine to a country that is nowhere near a nation state. Anyway, this seedy initiative increased the killing … and it is increasing still. Saudi Arabia and the League have not given up, however. The ongoing official murders continue, and the rebels have also certainly not given up. Of course, there is more and more division in the ranks, in all the ranks. Truly ugly allies like Hamas, the premier Sunni organization among exiled Palestinians, which had been sheltered from Israel by Assad, walked out on their long-term savior. And in Haifa, Israeli-Arab citizens, perhaps 500 of them, demonstrated for Assad; nobody bothered them. So there is little clarity in the big Arab street running from Tunis to Baghdad via Beirut, where Hassan Nasrallah and Hezbollah, his armed mob, is still a force deeply allied with Assad. What you make of the lopsided dictator’s vote for his new Syrian constitution is what you make of it. But remember that Stalin won his elections to “beloved leader” with somewhere between 97 percent and 99 percent. Annan is a man of dutiful patina but without a functioning conscience, and his shocking designation as the healer of the Syrian catastrophe will bring no good. Isn’t the whole Annan enterprise premised on a diplomatic (i.e., a negotiated) solution? This would leave the murderer in power. Which rebellious Syrians would countenance that? As it happens, Annan has dealt with Assad before, actually as his intermittent interlocutor with Israel when—wouldn’t you know it?—as secretary general he was trying to persuade Jerusalem that Damascus is an honest partner for peace. Isn’t it tiresome by now, as the Arab world—to say nothing of the Muslim world—is at its most combustible in modern history, that missionaries and messengers are still trying to persuade the Jewish state to cede perilous principles and critical cartography to a reckless and fissured pair of political revolutions? Certainly no one can even assure the internal stability or the peacefulness of the Palestinians. So, in this regard, where is Salam Fayyad, the most recent great hope for comity in fractured Palestine? I have it on excellent authority that it was Saudi Arabia which in desperation forced on the Arab League the retention of Annan. Someone more honest would be too exotic for its members to bear. But it is a fact that, for whatever reason, Riyadh had hoped that America would take the initiative on Syria, given especially that the French (who have historic ties in the country, having dethroned Faisal I from being king of Damascus and having the British crowning him king of Baghdad) had cleared up any insinuations that they might do to Assad what they did to Qaddafi. Well, the U.S. was not ready for this kind of leadership. And neither was the kingdom. Which brings me back to the pusillanimity of the Saudis. Just the other day, the U.S. Department of Defense announced that it will sell to Riyadh 84 additional latest model Boeing F-16 jets and upgraded 70 F-15 jets. They are not yet in the Arabian Desert. But there are already so many aircraft, tanks, reconnaissance vehicles, and rocket launchers available and ready for work that one wonders why the monarch waits. Sixteen operation prepared military airfields etc. This equipment puts more than 200,000 full-time soldiers as a potential threat. Why shouldn’t they be a real threat to Syria? They could get to Damascus within hours, passing through Jordan, which the Assads have always despised. 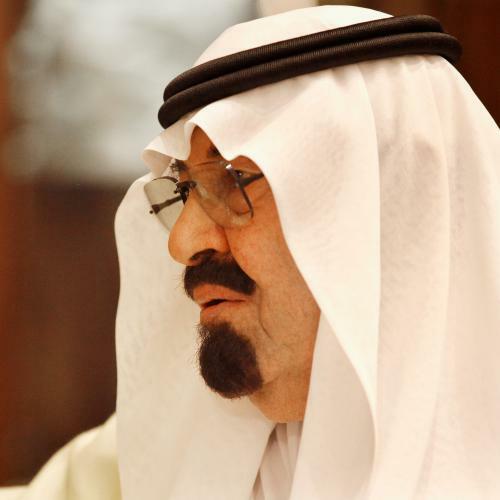 Anyway, King Abdullah could not refuse a request from Riyadh and he wouldn’t want to. But the Hashemites are not the obstacle. It is the al-Saud who are. And given the four decades of family tyranny and mass murder in Syria, the reluctance of the most powerful Arab state, the most powerful monarchy in the world, to take out these killers is what I said at the beginning: pusillanimity. I’m afraid that President Obama is also pusillanimous on this matter. Now, this should not be surprising. The president is not touched, not touched at all by mass violations of human dignity. Moreover, he is not touched by mass takings of human life … anywhere. I dare my readers to challenge this dismal assertion. And the fact is that the world of American progressives, the world we used to call “liberal,” is also not stirred by the killing of Arabs by other Arabs. (Or, for that matter, the killing of Christians by Muslims. Or Muslims by Muslims. But let Israel kill an old Hamas chieftain, Mahmoud Al-Mabhouh, guilty of murdering dozens, and the international press goes haywire for months. Look this up anywhere.) God knows, I recall the pierced looks I got from friends in 1958 when I told them that my girlfriend and I had visited Franco Spain. All of us seeing the terrible pictures coming out of Syria and Homs recently recognize that it is absolutely imperative for the international community to rally in sending a clear message to President Assad that it is time for a transition. Terrible pictures, recently , absolutely imperative, international community, rally, clear message, time for a transition! These are the words of a trimmer. And trimming like this in these circumstances is also pusillanimous. I am afraid that Hillary Clinton is the most repellent of the trimmers, the coarsest and finally just plain odious in her blaming innocent and unprotected Syrians for not walking into lines of random and directed fire. Our secretary of state was in Rabat, Morocco on February 26. She gave three interviews: The first was with Kim Ghattas of the BBC. I am asking you to read it. The second entretien was by Elise Labatt of CNN. Please read this one, as well. QUESTION: Madam Secretary, good morning. QUESTION: Thank you for doing this. Let’s get right to Syria, please. I know and respect that you think the Friends of Syria Conference on Friday was a success. But the shelling continues. I don’t think we have any evidence that humanitarian aid is going in as the conference demanded. So on what level exactly was the conference a success? SECRETARY CLINTON: Well, Wyatt, perhaps I take a longer view than some in looking at the way that, again, the Arab League has led, which has been one of the most remarkable developments in the last year that they would take positions against fellow Arab nations on behalf of the aspirations that we all hold for the Arab Spring. The fact that so many other countries were present and all speaking with one voice – this is not to be, I think, diminished in terms of its importance. It doesn’t mean that we aren’t deeply distressed by what has continued. QUESTION: But the world is united. I take your point, but what does that do? QUESTION: What does that do? SECRETARY CLINTON: Well, I think it does several things. Sometimes, overturning brutal regimes takes time and costs lives. I wish it weren’t so. I really, really do. I wish that those around Assad would realize that it may not be tomorrow, may not be next week, but they’re done. I wish the military that serves that regime would quit staining their own honor and stand up for the rights of the Syrian people. I wish the businesspeople who are still sitting on the fence would realize that they’re going to be so tightly sanctioned that it’s going to be a big price for them to pay and so on. Because it’s not just one man; it is a regime. And we think that we’re putting a lot of pressure on that regime, and that there will be a breaking point. And we think that the regime itself is dishonoring who they are and what they stand for. They don’t represent the Syrian people anymore; they represent a family, maybe the Ba’ath Party, a small group of insiders. And so we’re – we are pushing this day by day. But they also have very, very strong friends, if you look at Russia, China, and Iran, who are in there determined to keep Assad because he does their bidding, he buys their arms, he sells them oil. This is as clear a contrast between the values that the world now is embracing and the past. SECRETARY CLINTON: The – right. QUESTION: – is being shelled as if you did not exist, that – meaning the Friends of Syria Conference. QUESTION: Does he have a point? SECRETARY CLINTON: Of course he has a point, and I am deeply, deeply distressed for the people that he represents who are trapped under this artillery bombardment. But the problem for everyone is you have a ruthless regime using heavy artillery and tanks that are war weapons of the greatest impact against defenseless people. So there will be – and I’ve said this before – there will be those who are going to find ways to arm these Syrians who are under attack. But even if they are given automatic weapons against tanks, against heavy artillery, the slaughter will go on. And what I’m at – I’m wondering is what about the people in Damascus, what about the people in Aleppo? Don’t they know that their fellow Syrian men, women, and children are being slaughtered by their government? What are they going to do about it? When are they going to start pulling the props out from under this illegitimate regime? QUESTION: You’re sending a message to them? SECRETARY CLINTON: Yes, I am. QUESTION: The Administration made a point this week of suggesting that if Assad does not step down, does not stop the violence, that the U.S. would consider additional measures. Talk to me. What are the additional measures? SECRETARY CLINTON: Well, I’m not going to go into that, Wyatt. I think we did signal that this kind of wanton violence is just unacceptable. There are countries that are much closer with a much greater stake in the neighborhood who are looking at what they might do. Obviously, we are talking with them to see whether they intend to take action and whether they need any kind of logistical or other support, but no decisions have been made. QUESTION: You’re suggesting nonlethal support? Or are you suggesting that the United States may support the closet backchannel arming of the rebels that’s going on now? SECRETARY CLINTON: We have made no decisions to do any of the above. We are in consultations with others who are watching this as we are watching it, and trying to determine what more can be done. QUESTION: When I go back to the plight of the folks being shelled and who are very plaintive in their requests of the international community to be stronger, the question is: How long does the killing go on before the additional measures you’re talking about kick in? SECRETARY CLINTON: Well, I think, Wyatt, if you take just a moment to imagine all the terrible conflicts that go on in the world, we have seen in the last 15 years millions of people killed in the Eastern Congo in the most brutal, terrible, despicable ways. It wasn’t on TV. There were no Skype-ing from the jungles that were the killing fields. And I could point to many other places where governments oppress people, where governments are turning against their own people. And you have to be very clear-eyed about what is possible and what the consequences of anything you might wish to do could be. I am incredibly sympathetic to the calls that somebody do something. But it is also important to stop and ask what that is and who’s going to do it and how capable anybody is of doing it. And I like to get to the second, third, and fourth order questions, and those are very difficult ones. QUESTION: The U.S. has repeatedly said that it’s reluctant to support the direct arming of the dissidents. The U.S. has been reluctant to arm the dissidents. Why? QUESTION: But what’s the – Madam Secretary, what’s the fear? QUESTION: – of arming the rebels? SECRETARY CLINTON: First of all, as I just said, what are we going to arm them with, and against what? You’re not going to bring tanks over the borders of Turkey, Lebanon, and Jordan. That’s not going to happen. So I think, Wyatt, despite the great pleas that we hear from those people who are being ruthlessly assaulted by Assad, you don’t see uprisings across Syria the way you did in Libya. You don’t see militias forming in places where the Syrian military is not trying to get to Homs. You don’t see that, Wyatt. So if you’re a military planner or if you’re a Secretary of State and you’re trying to figure out, do you have the elements of an opposition that is actually viable, we don’t see that. We see immense human suffering that is heartbreaking and a stain on the honor of those security forces who are doing it. QUESTION: We’re out of time, but thank you.